BACKGROUND: Past studies have shown that U.S. Veterans are consumers of CAM. However, more than 75% of Veteran non-users report they would utilize these treatment options if made available. Thus, Veterans may not be fully aware of the CAM options currently available to them in the current U.S. VA health care system. OBJECTIVES: The current study tested the hypothesis that Veterans would report an increase in CAM utilization after completing a formal pain education program in a VA medical center. DESIGN: The study used a quasi-experimental, one-group, pre/post-test design. SETTING: Midwestern, U.S. VA Medical Center. PARTICIPANTS: The responses from 103 Veterans who elected to participate in the program and the assessment measures were included in the outcome analyses. INTERVENTION: "Pain Education School" is a 12-week, educational program that is open to all Veterans and their families. It is a comprehensive program that introduces patients to 23 different disciplines at the VA Medical Center that deal with chronic, non-cancer pain. MAIN OUTCOME MEASURES: An adaptation of the Complementary and Alternative Medicine Questionnaire(©), SECTION A: Use of Alternative Health Care Providers. RESULTS: There was a significant difference found in overall utilization of CAM after completing the pain education program. The most utilized CAM modality was the chiropractor; the least utilized were hypnosis and aromatherapy. CONCLUSIONS: Not all health care systems or providers may have access to an education-focused, professionally driven program as an amenity. However, lessons can be learned from this study in terms of what pain providers may be able to accomplish in their practice. Published by Elsevier Ltd.
Complement Ther Med. 2015 Jun;23(3):413-22. doi: 10.1016/j.ctim.2015.04.005. Epub 2015 Apr 28. Cosio D(1), Lin EH(2). Author information: (1)Anesthesiology/Pain Clinic, 820 S. Damen #124, Chicago, United States. Electronic address: david.cosio2@va.gov. (2)Pharmacy/Pain Clinic, 820 S. Damen #119, Chicago, United States. Electronic address: erica.lin@va.gov. The February-March 2014 special issue of the American Psychologist featured articles summarizing select contributions from the field of psychology to the assessment and treatment of chronic pain. The articles examined a range of psychosocial and family factors that influence individual adjustment and contribute to disparities in pain care. The reviews also considered the psychological correlates and neurophysiological mechanisms of specific pain treatments, including cognitive-behavioral therapy, hypnosis, acceptance and commitment therapy, mindfulness, and meditation. Although a number of articles emphasized the role that negative states of mind play in pain outcomes, positive emotions were given only brief mention. Here, we provide a rationale for the inclusion of positive emotions in chronic pain research. (c) 2015 APA, all rights reserved). Am Psychol. 2015 Apr;70(3):283-4. doi: 10.1037/a0038816. Ong AD(1), Zautra AJ(2), Reid MC(3). Author information: (1)Cornell University. (2)Arizona State University. (3)Weill Cornell Medical College. BACKGROUND: Although chronic pain is common among persons with multiple sclerosis (MS), little is known about the utilization and patients' perception of the effectiveness of pain treatments in MS. OBJECTIVES: The objectives were to: (1) identify specific treatments currently used for pain relief by adults with MS; (2) examine patients' perceptions of the effectiveness of each of these treatments; and (3) examine rates of health care utilization, specifically provider and emergency department visits, for pain. DESIGN: Cross-sectional survey. METHODS: One hundred twenty-five community-dwelling participants with MS and pain completed a postal survey that measured demographics, MS disease, pain, pain treatments, perceived effectiveness of treatments, and health care utilization. RESULTS: The majority (89.6%) of the sample reported use of a variety of and multiple pain treatments (range = 1-19, median = 9.0, mean = 9.0, SD = 4.2); few were rated as providing pain relief. Non-prescription pain relievers were the most commonly reported treatment. Physical treatment modalities were also common. The treatments that were reported by patients to provide the greatest pain relief, such as hypnosis, nerve blocks, and marijuana, were not those that were the most frequently used. Overall, 75% reported at least one visit to a provider for pain in the past six months; participants made, on average, 9.7 visits for pain during this same time period. Emergency department visits explicitly for pain were reported by 11% of respondents. CONCLUSIONS: These findings suggest that pain is inadequately treated from the perspective of persons with MS and results in a high level of health care utilization. Copyright © 2015 Elsevier Inc. All rights reserved. Author information: (1)Department of Rehabilitation Medicine, University of Washington School of Medicine, Seattle, WA, USA. Electronic address: ehde@uw.edu. (2)Department of Rehabilitation Medicine, University of Washington School of Medicine, Seattle, WA, USA. (3)Evidence Based Treatment Centers of Seattle, Seattle, WA, USA. (4)River Valley Psychological Services, Issaquah, WA, USA. Disabil Health J. 2015 Jul;8(3):452-6. doi: 10.1016/j.dhjo.2015.03.001. Epub 2015 Mar 14. Ehde DM(1), Alschuler KN(2), Osborne TL(3), Hanley MA(4), Jensen MP(2), Kraft GH(2). Pain perception and hypnosis: findings from recent functional neuroimaging studies. Int J Clin Exp Hypn. 2015;63(2):144-70. doi: 10.1080/00207144.2015.1002371. Del Casale A1, Ferracuti S, Rapinesi C, Serata D, Caltagirone SS, Savoja V, Piacentino D, Callovini G, Manfredi G, Sani G, Kotzalidis GD, Girardi P.
Hypnotic relaxation results in elevated thresholds of sensory detection but not of pain detection. BACKGROUND: Many studies show an effectiveness of hypnotic analgesia. It has been discussed whether the analgesic effect is mainly caused by the relaxation that is concomitant to hypnosis. This study was designed to evaluate the effects of hypnotic relaxation suggestion on different somatosensory detection and pain thresholds. METHODS: Quantitative sensory testing (QST) measurements were performed before and during hypnosis in twenty-three healthy subjects on the dorsum of the right hand. Paired t-test was used to compare threshold changes. The influence of hypnotic susceptibility was evaluated by calculating correlation coefficients for threshold changes and hypnotic susceptibility (Harvard group scale). RESULTS: During hypnosis significantly changed somatosensory thresholds (reduced function) were observed for the following sensory detection thresholds: Cold Detection Threshold (CDT), Warm Detection Threshold (WDT), Thermal Sensory Limen (TSL) and Mechanical Detection Threshold (MDT). The only unchanged sensory detection threshold was Vibration Detection Threshold (VDT). No significant changes were observed for the determined pain detection thresholds (Cold Pain Thresholds, Heat Pain Thresholds, Mechanical Pain Sensitivity, Dynamic Mechanical Allodynia, Wind-up Ratio and Pressure Pain Threshold). No correlation of hypnotic susceptibility and threshold changes were detected. CONCLUSION: Hypnotic relaxation without a specific analgesic suggestion results in thermal and mechanical detection, but not pain threshold changes. We thus conclude that a relaxation suggestion has no genuine effect on sensory pain thresholds. TRIAL REGISTRATION: ClinicalTrials.gov, Identifier: NCT02261155 (9th October 2014). BMC Complement Altern Med. 2014 Dec 15;14:496. doi: 10.1186/1472-6882-14-496. Kramer S1, Zims R, Simang M, Rüger L, Irnich D.
Hypnotherapy's effectiveness in improving and controlling chronic pain of various etiologies has been demonstrated by studies; the mechanism by which hypnosis does this is more complex than a simple induction of muscle relaxation. This study reveals, in addition to this mechanism, a deeper dimension of hypnotherapy from the vantage of a patient with a medical-surgical background, diagnosed with a pain disorder and major severe depressive disorder in addition to incurable painful symptoms, through treatment associated with hypnoanalysis. Following psychotherapy, which included some elements of cognitive-behavioral therapy, a complete remission of the anxious-depressive mood and the painful symptoms was achieved. Int J Clin Exp Hypn. 2015;63(2):236-46. doi: 10.1080/00207144.2015.1002704. Artimon HM1. BACKGROUND: Chronic pain is frequent in persons living with spinal cord injury (SCI). Conventionally, the pain is treated pharmacologically, yet long-term pain medication is often refractory and associated with side effects. non-pharmacological interventions are frequently advocated, although the benefit and harm profiles of these treatments are not well established, in part because of methodological weaknesses of available studies. OBJECTIVES: To critically appraise and synthesise available research evidence on the effects of non-pharmacological interventions for the treatment of chronic neuropathic and nociceptive pain in people living with SCI. SEARCH METHODS: The search was run on the 1st March 2011. We searched the Cochrane Injuries Group's Specialised Register, the Cochrane Central Register of Controlled Trials (CENTRAL), MEDLINE (OvidSP), Embase (OvidSP), PsycINFO (OvidSP), four other databases and clinical trials registers. In addition, we manually searched the proceedings of three major scientific conferences on SCI. We updated this search in November 2014 but these results have not yet been incorporated. SELECTION CRITERIA: Randomised controlled trials of any intervention not involving intake of medication or other active substances to treat chronic pain in people with SCI. DATA COLLECTION AND ANALYSIS: Two review authors independently extracted data and assessed risk of bias in the included studies. The primary outcome was any measure of pain intensity or pain relief. Secondary outcomes included adverse events, anxiety, depression and quality of life. When possible, meta-analyses were performed to calculate standardised mean differences for each type of intervention. MAIN RESULTS: We identified 16 trials involving a total of 616 participants. Eight different types of interventions were studied. Eight trials investigated the effects of electrical brain stimulation (transcranial direct current stimulation (tDCS) and cranial electrotherapy stimulation (CES); five trials) or repetitive transcranial magnetic stimulation (rTMS; three trials). Interventions in the remaining studies included exercise programmes (three trials); acupuncture (two trials); self-hypnosis (one trial); transcutaneous electrical nerve stimulation (TENS) (one trial); and a cognitive behavioural programme (one trial). None of the included trials were considered to have low overall risk of bias. Twelve studies had high overall risk of bias, and in four studies risk of bias was unclear. The overall quality of the included studies was weak. Their validity was impaired by methodological weaknesses such as inappropriate choice of control groups. An additional search in November 2014 identified more recent studies that will be included in an update of this review. For tDCS the pooled mean difference between intervention and control groups in pain scores on an 11-point visual analogue scale (VAS) (0-10) was a reduction of -1.90 units (95% confidence interval (CI) -3.48 to -0.33; P value 0.02) in the short term and of -1.87 (95% CI -3.30 to -0.45; P value 0.01) in the mid term. Exercise programmes led to mean reductions in chronic shoulder pain of -1.9 score points for the Short Form (SF)-36 item for pain experience (95% CI -3.4 to -0.4; P value 0.01) and -2.8 pain VAS units (95% CI -3.77 to -1.83; P value < 0.00001); this represented the largest observed treatment effects in the included studies. Trials using rTMS, CES, acupuncture, self-hypnosis, TENS or a cognitive behavioural programme provided no evidence that these interventions reduce chronic pain. Ten trials examined study endpoints other than pain, including anxiety, depression and quality of life, but available data were too scarce for firm conclusions to be drawn. In four trials no side effects were reported with study interventions. Five trials reported transient mild side effects. Overall, a paucity of evidence was found on any serious or long-lasting side effects of the interventions. AUTHORS' CONCLUSIONS: Evidence is insufficient to suggest that non-pharmacological treatments are effective in reducing chronic pain in people living with SCI. The benefits and harms of commonly used non-pharmacological pain treatments should be investigated in randomised controlled trials with adequate sample size and study methodology. Cochrane Database Syst Rev. 2014 Nov 28;11:CD009177. doi: 10.1002/14651858.CD009177.pub2. Boldt I(1), Eriks-Hoogland I, Brinkhof MW, de Bie R, Joggi D, von Elm E. Author information: (1)Swiss Paraplegic Research, Nottwil, Switzerland. Noninvasive and alternative management of chronic low back pain (efficacy and outcomes). OBJECTIVES: The goal of this article is to provide a thorough literature review of available noninvasive and alternative treatment options for chronic low back pain. In particular, the efficacy of each therapy is evaluated and pertinent outcomes are described. MATERIALS AND METHODS: A comprehensive search for available literature was done through PubMed and Cochrane data base for topics discussed in this paper. RESULTS: Relevant current and past references were reviewed and presented to reflect the efficacy of each therapy and related outcomes. CONCLUSIONS: There are a wide variety of noninvasive and alternative therapies for the treatment of chronic low back pain. Those with the strongest evidence in the literature for good efficacy and outcomes include exercise therapy with supervised physical therapy, multidisciplinary biopsychosocial rehabilitation, and acupuncture. Therapies with fair evidence or moderately supported by literature include yoga, back schools, thermal modalities, acupressure, and cognitive-behavioral therapy. Those therapies with poor evidence or little to no literature support include manipulation, transcutaneous electrical nerve stimulation, low-level laser therapy, reflexology, biofeedback, progressive relaxation, hypnosis, and aromatherapy. Providers delivering care for patients with chronic low back pain must carefully evaluate these available treatment options related to their efficacy or lack thereof as well as relevant outcomes. Neuromodulation. 2014 Oct;17 Suppl 2:24-30. doi: 10.1111/ner.12078. Wellington J. Author information: Pain Medicine Center, Indiana University, Indianapolis, IN, USA. © 2014 International Neuromodulation Society. Baseline Brain Activity Predicts Response to Neuromodulatory Pain Treatment. OBJECTIVES: The objective of this study was to examine the associations between baseline electroencephalogram (EEG)-assessed brain oscillations and subsequent response to four neuromodulatory treatments. Based on available research, we hypothesized that baseline theta oscillations would prospectively predict response to hypnotic analgesia. Analyses involving other oscillations and the other treatments (meditation, neurofeedback, and both active and sham transcranial direct current stimulation) were viewed as exploratory, given the lack of previous research examining brain oscillations as predictors of response to these other treatments. DESIGN: Randomized controlled study of single sessions of four neuromodulatory pain treatments and a control procedure. METHODS: Thirty individuals with spinal cord injury and chronic pain had their EEG recorded before each session of four active treatments (hypnosis, meditation,EEG biofeedback, transcranial direct current stimulation) and a control procedure (sham transcranial direct stimulation). RESULTS: As hypothesized, more presession theta power was associated with greater response to hypnotic analgesia. In exploratory analyses, we found that less baseline alpha power predicted pain reduction with meditation. CONCLUSIONS: The findings support the idea that different patients respond to different pain treatments and that between-person treatment response differences are related to brain states as measured by EEG. The results have implications for the possibility of enhancing pain treatment response by either 1) better patient/treatment matching or 2) influencing brain activity before treatment is initiated in order to prepare patients to respond. Research is needed to replicate and confirm the findings in additional samples of individuals with chronic pain. Pain Med. 2014 Oct 7. doi: 10.1111/pme.12546. Jensen MP(1), Sherlin LH, Fregni F, Gianas A, Howe JD, Hakimian S. Author information: (1)Department of Rehabilitation Medicine, University of Washington, Seattle, Washington. Correlates of complementary and alternative medicine use in a pediatric tertiary pain center. OBJECTIVE: To examine correlates of complementary and alternative medicine (CAM) use in a pediatric population with chronic pain, and to determine whether CAM use is positively correlated with adaptive coping skills. METHODS: We examined patient data from 1175 children aged 7 to 18 years with chronic pain who completed the intake assessment at the time of initial evaluation at Boston Children's multidisciplinary Pain Treatment Service between 2003 and 2011. The intake assessment included validated measures of anxiety, depression, pain coping skills, and functional disability. Parents were also asked whether their child had tried CAM modalities in the past. We used a multivariable logistic regression model to determine correlates of CAM use and a multivariable linear regression model to determine the relationship between biobehavioral CAM (relaxation training, hypnosis, and biofeedback) and accommodative coping. RESULTS: In our multivariable model, we found that female gender (odds ratio [OR] 1.48, 95% confidence interval [95% CI] 1.07-2.02), level of parental education (OR 1.11 per year, 95% CI 1.06-1.16), greater pain intensity (OR 1.06 per point on an 11-point numerical analog scale, 95% CI 1.01-1.11), and more functional disability (OR 1.19 per 10-point increment on the Functional Disability Inventory, 95% CI 1.06-1.34) were independently associated with CAM use. Biobehavioral CAM was found to have a statistically significant correlation with accommodative coping skills (? = 0.2, P = .004). CONCLUSIONS: In a pediatric chronic pain center, CAM users tended to have higher pain intensity and greater functional disability. Exposure to biobehavioral CAM techniques was associated with adaptive coping skills. Copyright © 2014 Academic Pediatric Association. Published by Elsevier Inc. All rights reserved. Acad Pediatr. 2014 Sep-Oct;14(5):491-6. doi: 10.1016/j.acap.2014.04.003. Vinson R(1), Yeh G(2), Davis RB(2), Logan D(3). Author information: (1)Department of General Pediatrics, Boston Children's Hospital, Boston, Mass. Electronic address: rvmd2007@gmail.com. (2)Department of Internal Medicine, Beth Israel Deaconess Medical Center, Boston, Mass. (3)Department of Pain Treatment Service, Boston Children's Hospital, Boston, Mass. Mechanisms and management of functional abdominal pain. Summary Functional abdominal pain syndrome is characterised by frequent or continuous abdominal pain associated with a degree of loss of daily activity. It has a reported population prevalence of between 0.5% and 1.7%, with a female preponderance. The pathophysiology of functional abdominal pain is incompletely understood although it has been postulated that peripheral sensitisation of visceral afferents, central sensitisation of the spinal dorsal horn and aberrancies within descending modulatory systems may have an important role. The management of patients with functional abdominal pain requires a tailored multidisciplinary approach in a supportive and empathetic environment in order to develop an effective therapeutic relationship. Patient education directed towards an explanation of the pathophysiology of functional abdominal pain is in our opinion a prerequisite step and provides the rationale for the introduction of interventions. Interventions can usefully be categorised into general measures, pharmacotherapy, psychological interventions and 'step-up' treatments. Pharmacotherapeutic/step-up options include tricyclic antidepressants, serotonin noradrenergic reuptake inhibitors and the gabapentinoids. Psychological treatments include cognitive behavioural therapy and hypnotherapy. However, the objective evidence base for these interventions is largely derived from other chronic pain syndrome, and further research is warranted in adult patients with functional abdominal pain. J R Soc Med. 2014 Sep;107(9):347-354. Farmer AD(1), Aziz Q(2). Author information: (1)Centre for Digestive Diseases, Wingate Institute of Neurogastroenterology, Blizard Institute, Barts and the London School of Medicine & Dentistry, Queen Mary University of London, London E1 2AJ, UK a.farmer@qmul.ac.uk. (2)Centre for Digestive Diseases, Wingate Institute of Neurogastroenterology, Blizard Institute, Barts and the London School of Medicine & Dentistry, Queen Mary University of London, London E1 2AJ, UK. Full title: A99: Symptom and Treatment Characteristics of Juvenile Primary Fibromyalgia Syndrome in the CARRA Registry: Are Males and Females Created Equal? BACKGROUND/PURPOSE: Children and adolescents with juvenile primary fibromyalgia syndrome (JPFS) often present to pediatric rheumatologists for evaluation. Limited data are available on the characteristics of and treatments used for JPFS, particularly in males. METHODS: We evaluated deidentified data from baseline visits of JPFS patients entered in the Childhood Arthritis & Rheumatology Research Alliance (CARRA) registry between May 2010 and September 2013. Data regarding demographics, symptoms, functional measures and treatment are compared as a function of gender. RESULTS: There were 172 patients (27 males), ages 8-21 years (Mean (M) = 15.4 +/- 2.3). Patients were symptomatic for a mean of 1.7 +/- 2.2 years prior to their first visit, with no significant difference between males and females (M = 2.2 vs. 1.6 respectively, t(169) = 1.19, p = .2). Widespread pain (89%), fatigue (83%), disordered sleep (77%), headaches (61%), and extremity numbness/tingling (32%) were the most commonly reported symptoms. Females had more numbness and tingling (35% vs. 13% respectively, ? (2) = 4.4, p = 0.04). Table lists treatments used. Males were significantly more likely to have used gabapentin (26% vs. 8%, ? (2) = 7.6, p <0.01). Of the 63 patients using non-pharmacologic treatment, females were significantly more likely to have used massage and yoga. Over 50% of patients received education on JPFS, sleep hygiene, and general counseling. Graded aerobic activity and physical therapy were commonly prescribed. Less then 10% of patients tried opioids, serotonin norepinephrine reuptake inhibitors, craniosacral therapy, hypnosis, and biofeedback. [Table: see text] Mean pain scores were moderate to severe (6.3 +/- 2.5/10) and were significantly positively related to Childhood Health Assessment Questionnaire (CHAQ) scores (r = .3, p <.01), patient ratings of impairment in health-related quality of life (HRQOL) (r = .4, p < .01), and patient ratings of impairment in overall well-being (r = .6, p < .01) both for males and females. Males were more disabled based on subjective (patient/parent report) functioning measures (HRQOL and CHAQ), although no differences were observed on physician report measures (physician global assessment and ACR functional class). CONCLUSION: Based on data from the largest known cohort of JPFS patients, there are few significant gender differences in physician assessment of disease activity. However, higher levels of disability reported by male patients suggest the need to consider gender when evaluating and treating JPFS patients. Possible explanations for the discrepancies in treatment include effects of gender on physician's perception of patient's pain leading to more medication use among males or females being more willing to try non-pharmacologic modes of treatment. Future studies on gender and treatment outcomes are needed to improve care for these patients. Arthritis Rheumatol. 2014 Mar;66 Suppl 11:S134. doi: 10.1002/art.38516. Weiss JE(1), Schikler K, Boneparth A, Hoffart C, Connelly M. Author information: (1)Joseph M Sanzari Children's Hospital, Hackensack University Medical Center, Hackensack, NJ. Analyzing acute procedural pain in clinical trials. Because acute procedural pain tends to increase with procedure time, assessments of pain management strategies must take that time relationship into account. Statistical time-course analyses are, however, complex and require large patient numbers to detect differences. The current study evaluated the abilities of various single and simple composite measures such as averaged pain or individual patient pain slopes to detect treatment effects. Secondary analyses were performed with the data from 3 prospective randomized clinical trials that assessed the effect of a self-hypnotic relaxation intervention on procedural pain, measured every 10-15minutes during vascular/renal interventions, breast biopsies, and tumor embolizations. Single point-in-time and maximal pain comparisons were poor in detecting treatment effects. Linear data sets of individual patient slopes yielded the same qualitative results as the more complex repeated measures analyses, allowing the use of standard statistical approaches (eg, Kruskal-Wallis), and promising analyses of smaller subgroups, which otherwise would be underpowered. With nonlinear data, a simple averaged score was highly sensitive in detecting differences. Use of these 2 workable and relatively simple approaches may be a first step towards facilitating the development of data sets that could enable meta-analyses of data from acute pain trials. Pain. 2014 Jul;155(7):1365-73. doi: 10.1016/j.pain.2014.04.013. Lang EV(1), Tan G(2), Amihai I(2), Jensen MP(3). Author information: (1)Hypnalgesics LLC, Brookline, MA, USA. Electronic address: drevlang@hypnalgesics.com. (2)Department of Psychology, National University of Singapore, Singapore. (3)Department of Rehabilitation Medicine, University of Washington, Seattle, WA, USA. The Prognosis of Pediatric Headaches-A 30-Year Follow-up Study. BACKGROUND: Although headaches in childhood are common, there are few data available on their long-term prognosis. We have monitored a group of patients since diagnosis in 1983. METHODS: Patients who were part of the 20-year follow-up study in 2003 were contacted, and data were collected using a standardized telephone interview. Details of headache characteristics and identified precipitants and alleviating factors were gathered. The most effective means of controlling the headaches were also recorded. RESULTS: Follow-up was achieved for 28 of 60 patients (47%). Over the 30 years since diagnosis, eight patients (29%) reported a complete resolution of headaches, including three whose headaches resolved between the 20- and 30-year follow-up studies. The type of headache varied over the 30-year time interval with only three patients maintaining the same headache type at all four time periods of 1983, 1993, 2003, and 2013. Only one patient used prescription medication as the primary method for controlling headaches. The most commonly used intervention was nonprescription analgesia, self-relaxation and/or hypnosis, and precipitant avoidance. CONCLUSIONS: Headaches persist in approximately 70% of children 30 years after diagnosis. Encouraging children to manage their headaches with simple analgesia and precipitant avoidance appears to have long-term benefits. Pediatr Neurol. 2014 Jul;51(1):85-7. doi: 10.1016/j.pediatrneurol.2014.02.022. Dooley JM(1), Augustine HF(2), Brna PM(2), Digby AM(2). Author information: (1)Department of Pediatrics, Pediatric Neurology Division, Dalhousie University, Halifax, Nova Scotia, Canada. Electronic address: jdooley@dal.ca. (2)Department of Pediatrics, Pediatric Neurology Division, Dalhousie University, Halifax, Nova Scotia, Canada. Psychological interventions for individuals with cystic fibrosis and their families. BACKGROUND: With increasing survival estimates for individuals with cystic fibrosis, long-term management has become an important focus. Psychological interventions are largely concerned with adherence to treatment, emotional and social adaptation and health-related quality of life. We are unaware of any relevant systematic reviews. OBJECTIVES: To determine whether psychological interventions for people with cystic fibrosis provide significant psychosocial and physical benefits in addition to standard medical care. SEARCH METHODS: Studies were identified from two Cochrane trials registers (Cystic Fibrosis and Genetic Disorders Group; Depression, Anxiety and Neurosis Group), Ovid MEDLINE and PsychINFO; unpublished trials were located through professional networks and Listserves. Most recent search of the Cystic Fibrosis and Genetic Disorders Group's register: 19 December 2013.Most recent search of the Depression, Anxiety and Neurosis Group's register: 12 November 2013. SELECTION CRITERIA: Randomised controlled studies of a broad range of psychological interventions evaluating subjective and objective health outcomes, such as quality of life or pulmonary function, in individuals of all ages with cystic fibrosis and their immediate family. We were interested in psychological interventions, including psychological methods within the scope of psychotherapeutic or psychosomatic mechanism of action (e.g. cognitive behavioural, cognitive, family systems or systemic, psycho-dynamic, or other, e.g. supportive, relaxation, or biofeedback), which were aimed at improving psychological and psychosocial outcomes (e.g. quality of life, levels of stress or distress, psychopathology, etc. ), adaptation to disease management and physiological outcomes. DATA COLLECTION AND ANALYSIS: Three authors were involved in selecting the eligible studies and two of these authors assessed their risk of bias. MAIN RESULTS: The review includes 16 studies (eight new studies included in this update) representing data from 556 participants. Studies are diverse in their design and their methods. They cover interventions with generic approaches, as well as interventions developed specifically to target disease-specific symptoms and problems in people with cystic fibrosis. These include cognitive behavioural interventions to improve adherence to nutrition or psychosocial adjustment, cognitive interventions to improve adherence or those associated with decision making in lung transplantation, a community-based support intervention and other interventions, such as self-hypnosis, respiratory muscle biofeedback, music therapy, dance and movement therapy, and a tele-medicine intervention to support patients awaiting transplantation.A substantial proportion of outcomes relate to adherence, changes in physical status or other specific treatment concerns during the chronic phase of the disease.There is some evidence that behavioural interventions targeting nutrition and growth in children (4 to 12 years) with cystic fibrosis are effective in the short term. Evidence was found that providing a structured decision-making tool for patients considering lung transplantation improves patients' knowledge of and expectations about the transplant, and reduces decisional conflict in the short term. One study about training in biofeedback-assisted breathing demonstrated some evidence that it improved some lung function measurements. Currently there is insufficient evidence for interventions aimed at other aspects of the disease process. AUTHORS' CONCLUSIONS: Currently, insufficient evidence exists on psychological interventions or approaches to support people with cystic fibrosis and their caregivers, although some of the studies were promising. Due to the heterogeneity between studies, more of each type of intervention are needed to support preliminary evidence. Multicentre studies, with consequent funding implications, are needed to increase the sample size of these studies and enhance the statistical power and precision to detect important findings. In addition, multicentre studies could improve the generalisation of results by minimizing centre or therapist effects. Psychological interventions should be targeted to illness-specific symptoms or behaviours to demonstrate efficacy. Cochrane Database Syst Rev. 2014 Jun 18;6:CD003148. Goldbeck L(1), Fidika A, Herle M, Quittner AL. Author information: (1)Dptm. Child and Adolescent Psychiatry/Psychotherapy, University Clinic Ulm, Steinhoevelstr. 5, Ulm, Baden-Württemberg, Germany, D-89075. Neuromodulatory treatments for chronic pain: efficacy and mechanisms. Chronic pain is common, and the available treatments do not provide adequate relief for most patients. Neuromodulatory interventions that modify brain processes underlying the experience of pain have the potential to provide substantial relief for some of these patients. The purpose of this Review is to summarize the state of knowledge regarding the efficacy and mechanisms of noninvasive neuromodulatory treatments for chronic pain. The findings provide support for the efficacy and positive side-effect profile of hypnosis, and limited evidence for the potential efficacy of meditation training, noninvasive electrical stimulation procedures, and neurofeedback procedures. Mechanisms research indicates that hypnosis influences multiple neurophysiological processes involved in the experience of pain. Evidence also indicates that mindfulness meditation has both immediate and long-term effects on cortical structures and activity involved in attention, emotional responding and pain. Less is known about the mechanisms of other neuromodulatory treatments. On the basis of the data discussed in this Review, training in the use of self-hypnosis might be considered a viable 'first-line' approach to treat chronic pain. More-definitive research regarding the benefits and costs of meditation training, noninvasive brain stimulation and neurofeedback is needed before these treatments can be recommended for the treatment of chronic pain. Nat Rev Neurol. 2014 Mar;10(3):167-78. doi: 10.1038/nrneurol.2014.12. Jensen MP(1), Day MA(1), Miró J(2). Author information: (1)Department of Rehabilitation Medicine, University of Washington, Harborview Medical Center, 325 9th Avenue, Seattle, WA 98104-2499, USA. (2)Department of Psychology, Universitat Rovira i Virgili, Carretera de Valls, s/n, 43007 Tarragona, Spain. Full title: A randomized controlled trial of hypnosis compared with biofeedback for adults with chronic low back pain. BACKGROUND: Chronic low back pain (CLBP) is common and results in significant costs to individuals, families and society. Although some research supports the efficacy of hypnosis for CLBP, we know little about the minimum dose needed to produce meaningful benefits, the roles of home practice and hypnotizability on outcome, or the maintenance of treatment benefits beyond 3 months. METHODS: One hundred veterans with CLBP participated in a randomized, four-group design study. The groups were (1) an eight-session self-hypnosis training intervention without audio recordings for home practice; (2) an eight-session self-hypnosis training intervention with recordings; (3) a two-session self-hypnosis training intervention with recordings and brief weekly reminder telephone calls; and (4) an eight-session active (biofeedback) control intervention. RESULTS: Participants in all four groups reported significant pre- to post-treatment improvements in pain intensity, pain interference and sleep quality. The hypnosis groups combined reported significantly more pain intensity reduction than the control group. There was no significant difference among the three hypnosis conditions. Over half of the participants who received hypnosis reported clinically meaningful (=30%) reductions in pain intensity, and they maintained these benefits for at least 6 months after treatment. Neither hypnotizability nor amount of home practice was associated significantly with treatment outcome. CONCLUSIONS: The findings indicate that two sessions of self-hypnosis training with audio recordings for home practice may be as effective as eight sessions of hypnosis treatment. If replicated in other patient samples, the findings have important implications for the application of hypnosis treatment for chronic pain management. Eur J Pain. 2014 Jun 17. doi: 10.1002/ejp.545. Tan G(1), Rintala DH, Jensen MP, Fukui T, Smith D, Williams W. Author information: (1)Department of Psychology, National University of Singapore, Singapore. Hypnosis for chronic pain of children. A child or adolescent can suffer from chronic pain. Whatever the causes, it can trap the child in a specific process whereby they focus on the pain, fearing that it will appear and experiencing anxiety. Hypno-analgesia and hypnotherapy enable them to escape this process and find within themselves the capacity to face up to the pain. Moreover, these techniques offer them an autonomy which they can use in all areas of their life. Soins Pediatr Pueric. 2014 Mar-Apr;(277):36-8. Célestin-Lhopiteau I. Full title: Systematic Review and Meta-Analysis: Distraction and Hypnosis for Needle-Related Pain and Distress in Children and Adolescents. OBJECTIVE: To systematically review the evidence (and quality) for distraction and hypnosis for needle-related pain and distress in children and a dolescents. To explore the effects of distraction characteristics (e.g., adult involvement, type of distracter), child age, and study risk of bias on treatment efficacy. METHODS: 26 distraction and 7 hypnosis trials were included and self-report, observer-report, and behavioral pain intensity and distress examined. Distraction studies were coded for 4 intervention characteristics, and all studies coded for child age and study risk of bias. RESULTS: Findings showed strong support for distraction and hypnosis for reducing pain and distress from needle procedures. The quality of available evidence was low, however. Characteristics of distraction interventions, child age, and study risk of bias showed some influence on treatment efficacy. CONCLUSIONS: Distraction and hypnosis are efficacious in reducing needle-related pain and distress in children. The quality of trials in this area needs to be improved. Pediatr Psychol. 2014 Jun 2. pii: jsu029. Birnie KA(1), Noel M(2), Parker JA(2), Chambers CT(3), Uman LS(4), Kisely SR(2), McGrath PJ(3). This article provides an illustrative overview of neurophysiological changes related to acute and chronic pain involving structural and functional brain changes, which might be the targets of psychological interventions. A number of psychological pain treatments have been examined with respect to their effects on brain activity, ranging from cognitive- and operant behavioral interventions, meditation and hypnosis, to neuro- and biofeedback, discrimination training, imagery and mirror treatment, as well as virtual reality and placebo applications. These treatments affect both ascending and descending aspects of pain processing and act through brain mechanisms that involve sensorimotor areas as well as those involved in affective-motivational and cognitive-evaluative aspects. The analysis of neurophysiological changes related to effective psychological pain treatment can help to identify subgroups of patients with chronic pain who might profit from different interventions, can aid in predicting treatment outcome, and can assist in identifying responders and nonresponders, thus enhancing the efficacy and efficiency of psychological interventions. Moreover, new treatment targets can be developed and tested. Finally, the use of neurophysiological measures can also aid in motivating patients to participate in psychological interventions and can increase their acceptance in clinical practice. Am Psychol. 2014 Feb-Mar;69(2):188-96. doi: 10.1037/a0035254. Flor H. Author information: Central Institute of Mental Health. The empirical support for hypnosis for chronic pain management has flourished over the past two decades. Clinical trials show that hypnosis is effective for reducing chronic pain, although outcomes vary between individuals. The findings from these clinical trials also show that hypnotic treatments have a number of positive effects beyond pain control. Neurophysiological studies reveal that hypnotic analgesia has clear effects on brain and spinal-cord functioning that differ as a function of the specific hypnotic suggestions made, providing further evidence for the specific effects of hypnosis. The research results have important implications for how clinicians can help their clients experience maximum benefits from hypnosis and treatments that include hypnotic components. Am Psychol. 2014 Feb-Mar;69(2):167-77. doi: 10.1037/a0035644. Jensen MP, Patterson DR. Author information: Department of Rehabilitation Medicine, University of Washington. Thermally injured patients experience tremendous pain from the moment of injury to months or years after their discharge from the hospital. Pain is therefore a critical component of proper management of burns. Although the importance of pain is well recognized, it is often undertreated. Acute uncontrolled pain has been shown to increase the incidence of mental health disorders and increase the incidence of suicide after discharge. Long-term poor pain control leads to an increase in the incidence of persistent pain. Most burn centers have used opioids as the mainstay analgesic, but recently, the significant side effects of opioids have led to the implementation of new and combined therapeutics. Pharmacological agents such as gabapentin, clonidine, dexmedetomidine, and ketamine have all been suggested as adjuncts to opioids in the treatment of burn pain. Nonpharmacological therapies such as hypnosis, virtual reality devices, and behavioral therapy are also essential adjuncts to current medications. This review aims at identifying the currently available pharmacological and nonpharmacological options for optimal pain management in the adult burn population. J Burn Care Res. 2014 May 12. Retrouvey H(1), Shahrokhi S. Author information: (1)From the *Faculty of Medicine, McGill University, Montreal, Quebec, Canada; and †Division of Plastic and Reconstructive Surgery, Sunnybrook Health Sciences Centre, Toronto, Ontario, Canada. Hypnotherapy for disability-related pain: A meta-analysis. Hypnotherapy can address the biopsychosocial aspects of disability-related pain, although the available evidence is limited in quality and quantity. Meta-analytic techniques were utilised to evaluate 10 controlled studies. Hypnotherapy produced significant short-term improvements in fatigue, pain experience and affect. However, a lack of significance was noted at 3- to 6-month follow-up. A beneficial effect size (dw = 0.53; confidence interval = 0.28-0.84) in comparison to control conditions was reported, although comparability with other cognitive-behavioural treatments could not be confirmed across the few studies reporting this data (dw = 0.06; confidence interval = -0.33 to 0.45). The findings highlight the need for further controlled and longitudinal research in this area. J Health Psychol. 2014 May 1. Bowker E(1), Dorstyn D. Author information: (1)University of Adelaide, Australia. Full title: A systematic review: non-pharmacological interventions in treating pain in patients with advanced cancer. AIMS: To assess and synthesize the evidence of the effects and safety of non-pharmacological interventions in treating pain in patients with advanced cancer. BACKGROUND: Pain is a common symptom experienced by patients with advanced cancer; the treatment of such pain is often suboptimal. To manage it, non-pharmacological interventions are recommended after pharmacological treatments have been re-evaluated and modified. However, there remains a lack of knowledge about the effects and safety of such interventions. DESIGN: A systematic review was conducted based on the procedure of the Centre of Reviews and Dissemination. DATA SOURCES: Research papers published between 2000-2013 were identified from the following databases: CINAHL, MEDIC, MEDLINE (Ovid) and PsycINFO. The references in the selected studies were searched manually. REVIEW METHODS: The studies selected were reviewed for quality, using Cochrane Effective Practice and Organisation of Care Review Group risk of bias assessment criteria. RESULTS: There was limited evidence that some of the non-pharmacological interventions were promising with respect to reducing cancer pain. Relatively, few adverse events were reported as a result of using such interventions. CONCLUSION: It was not possible to draw conclusions about the effects and safety of the non-pharmacological interventions in reducing cancer pain. Some interventions showed promising short-term effects, but there is a need for more rigorous trials. Qualitative studies are required to collect information about patients' perceptions. There are several research gaps: we found no studies about music, spiritual care, hypnosis, active coping training, cold or ultrasonic stimulation. J Adv Nurs. 2014 Apr 15. doi: 10.1111/jan.12424. Hökkä M(1), Kaakinen P, Pölkki T. Author information: (1)Institution of Health Sciences, University of Oulu, Finland. Full title: Effects of hypnotic analgesia and virtual reality on the reduction of experimental pain among high and low hypnotizables. Abstract This research compared a no-treatment control condition and 3 experimentally induced pain treatment conditions: (a) virtual reality distraction (VRD), (b) hypnotic analgesia (HA), and (c) HA + VRD in relieving finger-pressure pain. After receiving baseline pain stimulus, each participant received hypnosis or no hypnosis, followed by VRD or no VRD during another pain stimulus. The data analysis indicated that, overall, all 3 treatments were more effective compared to the control group, irrespective of whether it involved hypnotic analgesia, virtual reality distraction, or both (hypnosis and virtual reality). Nevertheless, the participants responded differently to the pain treatment, depending on the hypnotizability level. High hypnotizables reported hypnotic analgesia, but low hypnotizables did not show hypnotic analgesia. VR distraction reduced pain regardless of hypnotizability. Int J Clin Exp Hypn. 2014;62(3):360-77. doi: 10.1080/00207144.2014.901087. Enea V(1), Dafinoiu I, Opri? D, David D. Author information: (1)a "Alexandru Ioan Cuza" University of Ia?i , Romania. Posthypnotic use of olfactory stimulus for pain management. Chronic pain due to disease or injury persists even after interventions to alleviate these conditions. Opiates are not always effective for the patient and have undesirable side effects. Hypnosis has been shown to be an effective treatment and may be enhanced by the use of olfactory stimulation as a posthypnotic cue. The article details 2 case reports that demonstrate the possible benefits of olfactory stimulus as an adjunct to hypnosis for pain relief. Int J Clin Exp Hypn. 2014;62(2):188-94. doi: 10.1080/00207144.2014.869132. Bubenzer T(1), Huang H. Author information: (1)a Private Practice , Indianapolis , Indiana , USA. Many factors contribute to suboptimal pain management in children. Current evidence suggests that severe pain in children has significant long-lasting effects, even more so than in adults. In particular, recent evidence suggests a lack of optimal postoperative pain management in children, especially following ambulatory surgery. This review provides simple guidelines for the management of postoperative pain in children. It discusses the long-term effects of severe pain and how to evaluate pain in both healthy and neurologically impaired children, including neonates. Currently available treatment options are discussed with reference to the efficacy and side effects of opioid and non-opioid and regional analgesic techniques. The impact of preoperative anxiety on postoperative pain, and the efficacy of some nonpharmacological techniques such as hypnosis or distraction, are also discussed. Finally, basic organizational strategies are described, aiming to promote safer and more efficient postoperative pain management in children. Paediatr Drugs. 2014 Apr;16(2):129-40. doi: 10.1007/s40272-013-0062-0. Brasher C(1), Gafsous B, Dugue S, Thiollier A, Kinderf J, Nivoche Y, Grace R, Dahmani S. Author information: (1)Department of Anesthesiology, Intensive Care, Robert Debré Hospital, 48 Bd Sérurier, 75019, Paris, France. Hypnosis for the control of pain associated with external cephalic version: a comparative study. OBJECTIVE: To assess the effectiveness of hypnosis to reduce pain and facilitate external cephalic version (ECV). DESIGN: Cohort study. SETTING: Geneva University Hospitals, Switzerland. PARTICIPANTS: 63 women attempting ECV under hypnosis from 2010 to 2011 were compared with 122 women who received standard care from 2005 through 2008. INTERVENTION: Immediately after the ECV attempt, both groups completed the same questionnaire evaluating the participants' pain (visual analogue and verbal rating scales) and experience with the procedure. Physicians also completed a questionnaire that elicited their views on the effect of hypnosis on the intervention. A chi-squared test was used to compare differences in proportions, and the Mann-Whitney U test was used for differences in continuous variables. A thematic content analysis of the obstetricians' responses to the open question regarding their experience of hypnotist accompaniment was also performed. OUTCOME MEASURES: Pain evaluated by women (visual analogue and verbal rating scales) and success rate of ECV. RESULTS: Pain intensity reported by women did not significantly differ between the hypnosis group and the standard care group (visual analogue scale score, 6.0 versus 6.3, respectively; p=.25; difference for verbal rating scale, p=0.31. In 72% of cases, physicians reported that hypnosis facilitated the procedure. The success rates in both groups were not significantly different (30% with hypnosis compared with 38% without; p=.31). Most women in both groups found the ECV attempt painful and a source of anxiety but would undergo it again if necessary. CONCLUSION: Hypnosis accompaniment during ECV does not reduce pain intensity associated with the procedure or improve the probability of a successful version. J Altern Complement Med. 2013 Oct;19(10):820-5. Guittier MJ, Guillemin F, Farinelli EB, Irion O, Boulvain M, de Tejada BM. 1 University of Applied Sciences Western Switzerland , Geneva, Switzerland . Full title: Psychological interventions for needle-related procedural pain and distress in children and adolescents. BACKGROUND: This review is an updated version of the original Cochrane review published in Issue 4, 2006. Needle-related procedures are a common source of pain and distress for children. Our previous review on this topic indicated that a number of psychological interventions were efficacious in managing pediatric needle pain, including distraction, hypnosis, and combined cognitive behavioural interventions. Considerable additional research in the area has been published since that time. OBJECTIVES: To provide an update to our 2006 review assessing the efficacy of psychological interventions for needle-related procedural pain and distress in children and adolescents. SEARCH METHODS: Searches of the following databases were conducted for relevant randomized controlled trials (RCTs): Cochrane Central Register of Controlled Trials (CENTRAL); MEDLINE; EMBASE; PsycINFO; the Cumulative Index to Nursing and Allied Health Literature (CINAHL); and Web of Science. Requests for relevant studies were also posted on various electronic list servers. We ran an updated search in March 2012, and again in March 2013. SELECTION CRITERIA: Participants included children and adolescents aged two to 19 years undergoing needle-related procedures. Only RCTs with at least five participants in each study arm comparing a psychological intervention group with a control or comparison group were eligible for inclusion. DATA COLLECTION AND ANALYSIS: Two review authors extracted data and assessed trial quality and a third author helped with data extraction and coding for one non-English study. Included studies were coded for quality using the Cochrane Risk of bias tool. Standardized mean differences with 95% confidence intervals were computed for all analyses using Review Manager 5.2 software. MAIN RESULTS: Thirty-nine trials with 3394 participants were included. The most commonly studied needle procedures were venipuncture, intravenous (IV) line insertion, and immunization. Studies included children aged two to 19 years, with the most evidence available for children under 12 years of age. Consistent with the original review, the most commonly studied psychological interventions for needle procedures were distraction, hypnosis, and cognitive behavioural therapy (CBT). The majority of included studies (19 of 39) examined distraction only. The additional studies from this review update continued to provide strong evidence for the efficacy of distraction and hypnosis. No evidence was available to support the efficacy of preparation and information, combined CBT (at least two or more cognitive or behavioural strategies combined), parent coaching plus distraction, suggestion, or virtual reality for reducing children's pain and distress. No conclusions could be drawn about interventions of memory alteration, parent positioning plus distraction, blowing out air, or distraction plus suggestion, as evidence was available from single studies only. In addition, the Risk of bias scores indicated several domains with high or unclear bias scores (for example, selection, detection, and performance bias) suggesting that the methodological rigour and reporting of RCTs of psychological interventions continue to have considerable room for improvement. AUTHORS' CONCLUSIONS: Overall, there is strong evidence supporting the efficacy of distraction and hypnosis for needle-related pain and distress in children and adolescents, with no evidence currently available for preparation and information or both, combined CBT, parent coaching plus distraction, suggestion, or virtual reality. Additional research is needed to further assess interventions that have only been investigated in one RCT to date (that is, memory alteration, parent positioning plus distraction, blowing out air, and distraction plus suggestion). There are continuing issues with the quality of trials examining psychological interventions for needle-related pain and distress. Cochrane Database Syst Rev. 2013 Oct 10;10:CD005179. Uman LS, Birnie KA, Noel M, Parker JA, Chambers CT, McGrath PJ, Kisely SR. IWK Health Centre & Dalhousie University, Halifax, Nova Scotia, Canada. Full title: A meta-analysis of hypnosis for chronic pain problems: a comparison between hypnosis, standard care, and other psychological interventions. 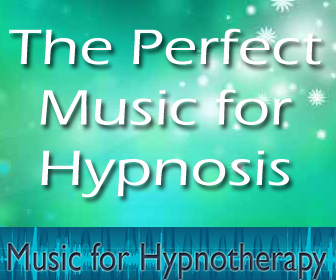 Hypnosis is regarded as an effective treatment for psychological and physical ailments. However, its efficacy as a strategy for managing chronic pain has not been assessed through meta-analytical methods. The objective of the current study was to conduct a meta-analysis to assess the efficacy of hypnosis for managing chronic pain. When compared with standard care, hypnosis provided moderate treatment benefit. Hypnosis also showed a moderate superior effect as compared to other psychological interventions for a nonheadache group. The results suggest that hypnosis is efficacious for managing chronic pain. Given that large heterogeneity among the included studies was identified, the nature of hypnosis treatment is further discussed. Int J Clin Exp Hypn. 2014;62(1):1-28. Adachi T, Fujino H, Nakae A, Mashimo T, Sasaki J. Osaka University , Japan. Oxytocin and cortisol in the hypnotic interaction. Changes in oxytocin and cortisol levels were tested in healthy volunteers during hypnotic interactions in standardized laboratory sessions. Pre- to Posthypnosis changes of oxytocin and cortisol were related to the hypnotic susceptibility of subjects and the relational experiences reposted by subjects and hypnotists on several paper-and-pencil tests. Results show that the changes in oxytocin are not related to hypnotic susceptibility but to relational Experiences. After the hypnotic interaction, the subject's oxytocin level increased if perceived harmony with the hypnotist was high, whereas it increased in the hypnotist if the subject had memories of less warm emotional relationships with his or her parents. The results are interpreted within the social-psychobiological model of hypnosis. Int J Clin Exp Hypn. 2014;62(1):111-28. Varga K, Kekecs Z. a Eötvös Loránd University , Budapest , Hungary. Hypnoanalgesia and the study of pain experience: from Cajal to modern neuroscience. Santiago Ramón y Cajal (1852-1934) did not only contribute to neurobiology and neurohistology. At the end of the 19th century, he published one of the first clinical reports on the employment of hypnotic suggestion to induce analgesia (hypnoanalgesia) in order to relieve pain in childbirth. Today, the clinical application of hypnoanalgesia is considered an effective technique for the treatment of pain in medicine, dentistry, and psychology. However, the knowledge we have today on the neural and cognitive underpinnings of hypnotic suggestion has increased dramatically since Cajal's times. Here we review the main contributions of Cajal to hypnoanalgesia and the current knowledge we have about hypnoanalgesia from neural and cognitive perspectives. Front Psychol. 2014 Sep 30;5:1126. doi: 10.3389/fpsyg.2014.01126. eCollection 2014. Lanfranco RC(1), Canales-Johnson A(2), Huepe D(3). Author information: (1)Department of Psychiatry and Mental Health, Faculty of Medicine, Universidad de Chile Santiago, Chile ; Laboratory of Cognitive and Social Neuroscience, UDP-INECO Foundation Core on Neuroscience, Universidad Diego Portales Santiago, Chile. (2)Laboratory of Cognitive and Social Neuroscience, UDP-INECO Foundation Core on Neuroscience, Universidad Diego Portales Santiago, Chile ; Medical Research Council, Cognition and Brain Sciences Unit Cambridge, UK. (3)Laboratory of Cognitive and Social Neuroscience, UDP-INECO Foundation Core on Neuroscience, Universidad Diego Portales Santiago, Chile. Paediatr Drugs. 2014 Jan 10. Brasher C, Gafsous B, Dugue S, Thiollier A, Kinderf J, Nivoche Y, Grace R, Dahmani S. Department of Anesthesiology, Intensive Care, Robert Debré Hospital, 48 Bd Sérurier, 75019, Paris, France. The effects of a medical hypnotherapy on clothing industry employees suffering from chronic pain. Problems associated with pain in several body regions due to work-related musculoskeletal disorders (WRMDs), repetitive movement and negative stress at work are quite common in many manufacturing industries of Latvia, int.al. clothing industry. The aim of this study was to evaluate efficiency of the psychotherapeutic intervention using medical hypnotherapy (MH) program for mind-body relaxation with pain-blocking imagery, cognitive restructuring of unpleasant physical and emotional experience. 300 sewers and 50 cutters with chronic pain were involved in the study. Self-rated WRMDs symptoms, pain intensity and interference were assessed using the extended version of Nordic Musculoskeletal Questionnaire and Brief Pain Inventory Scale. Assessment of the functional state of muscles was carried out using myotonometric (MYO) measurements. Work heaviness degree was estimated via heart rate monitoring (HRM). 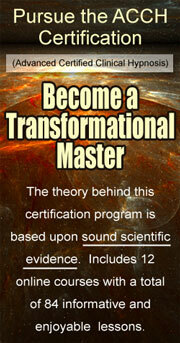 The MH program was composed of cognitive hypnotherapy and self-hypnosis training. Sunnen Trance Scale was used to determine person's hypnotic susceptibility. Life quality assessment before and after MH program was carried out using Quality of Life Scale. At the beginning of MH program sessions both sewers and cutters reported on pain interference with general activities, mood, sleep, normal work, etc., but after MH the interference of pain significantly decreased. HRM data confirmed that work heaviness degree of sewers and cutters can be referred to as light and moderate work (energy expenditure for their tasks varies from 3.4 till 4.7 kcal/min). Using MYO measurements it was stated that before MH 22% of workers involved in the study fell under III MYO category indices, consequently, their muscle tone was increased, which is associated with muscular fatigue. After MH muscle tone remained within the normal range meaning that they were able to adapt to the existing workload (II MYO category) or fully relax (I MYO category). MH program including exercises-workouts, cognitive hypnotherapy and self-hypnosis training sessions is an effective method to decrease composite chronic pain intensity for sewers and cutters, as well as to decrease psychogenic tension and muscle fatigue (proved by objective measurements of muscles tone) and to increase the life quality. J Occup Med Toxicol. 2013 Sep 25;8(1):25. Roja Z, Kalkis V, Roja I, Kalkis H.
Hypnosis integrated in burn care: impact on the healthcare team's stress. Hypnosis for Treatment of HIV Neuropathic Pain: A Preliminary Report. This study sought to determine whether hypnosis could be used as an intervention for painful HIV distal sensory polyneuropathy (HIV-DSP), which is the most common nervous system disorder in HIV patients. 36 volunteers received three weekly sessions in self-hypnosis for a 17 week protocol. The results were positive and supported the use of hypnosis. Pain Med. 2013 Apr 8. doi: 10.1111/pme.12074. Dorfman D, George MC, Schnur J, Simpson DM, Davidson G, Montgomery G. Department of Psychiatry, Icahn School of Medicine at Mount Sinai, New York, New York, USA. Full Title: Efficacy of hypnosis in adults undergoing surgery or medical procedures: A meta-analysis of randomized controlled trials. Although the authors of the study recommended further Randomized Controlled Trials, this meta-analysis investigating the efficacy of hypnosis in adults undergoing surgical or medical procedures showed the positive treatment effects on emotional distress and medication consumption were demonstrated and showed promising evidence of hypnosis in these situations. The study comprised of 2,597 patients. Clin Psychol Rev. 2013 Jul;33(5):623-36. doi: 10.1016/j.cpr.2013.03.005. Tefikow S, Barth J, Maichrowitz S, Beelmann A, Strauss B, Rosendahl J. Jena University Hospital, Friedrich Schiller University Jena, Institute of Psychosocial Medicine and Psychotherapy, Jena, Germany. Electronic address: susan.tefikow@med.uni-jena.de. Focused suggestion with somatic anchoring technique: rapid self-hypnosis for pain management. This article details a self-hypnosis technique designed to teach patients how to manage acute or chronic pain through directed focus. The focused suggestion with somatic anchoring technique has been used with various types of pain, including somatic pain (arthritis, post-injury pain from bone breaks, or muscle tears), visceral pain (related to irritable bowel disease), and neuropathic pain (related to multiple sclerosis). This technique combines cognitive restructuring and mindfulness meditation with indirect and direct suggestions during hypnosis. The case examples demonstrate how the focused suggestion with somatic anchoring technique is used with both acute and chronic pain conditions when use of long-term medication has been relatively ineffective.